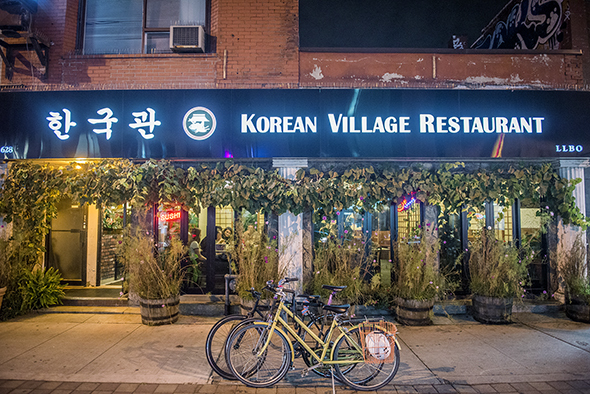 Korean Village has been serving some of the best food in Koreatown since 1978. Though they may have updated their signage over those decades, it's still the same heavyweight menu and classic homey atmosphere inside. This is a great place to go if you want a private room: there are seven here complete with the little buttons that call servers. The largest seats fourteen. 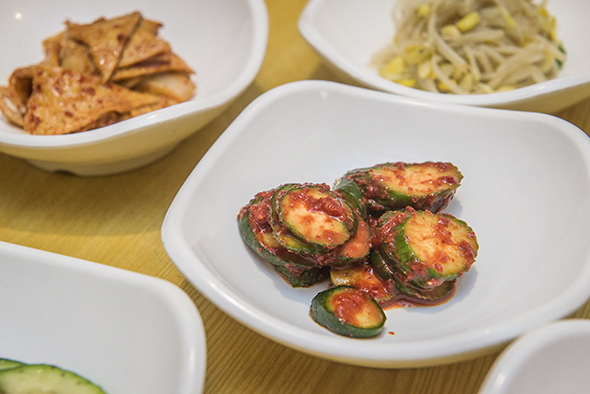 Dinner starts with meticulously organized side dishes, or banchan. You're presented with bean sprouts, zucchini, spicy cucumber, kimchi that's been quickly fermented for eight to ten days, and the softest fish cake. 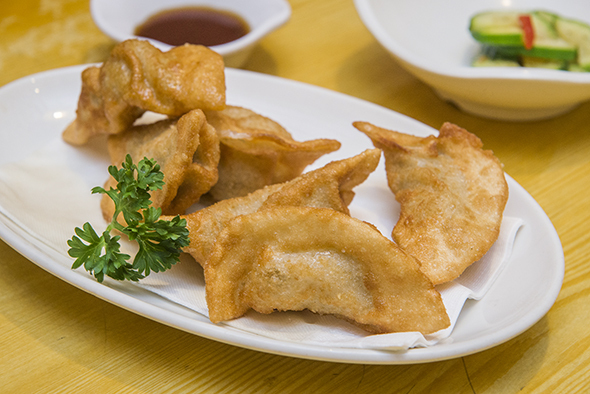 For an appetizer we have yaki mandu ($5.99), fried dumplings filled with beef and vegetables, five to an order. 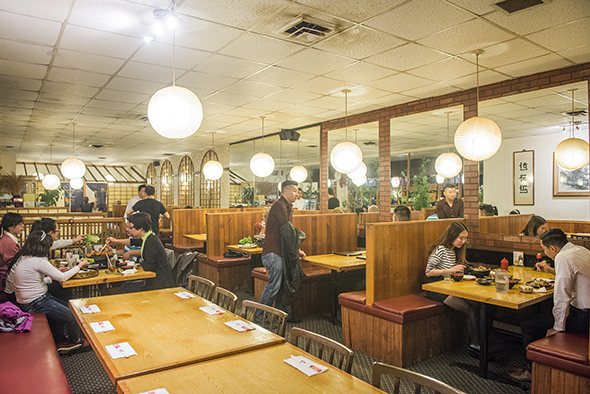 The menu is ginormous, but don't feel the need to scour it: just order what you know you want. 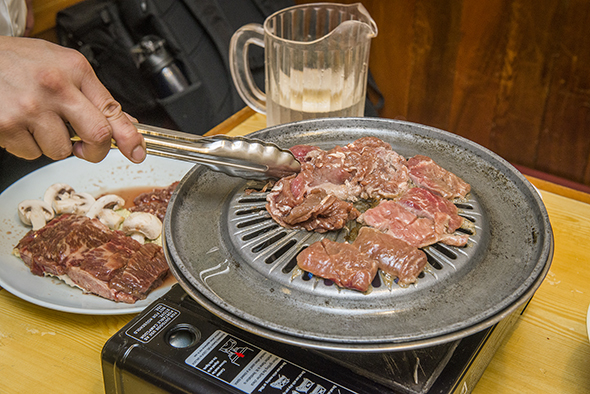 For example, you can do table BBQ whether you're new to it or experienced, as the pieces of meat are super manageable and tender enough to tear with the tongs. We get sirloin and beef ribs, marinated for thirty five hours. 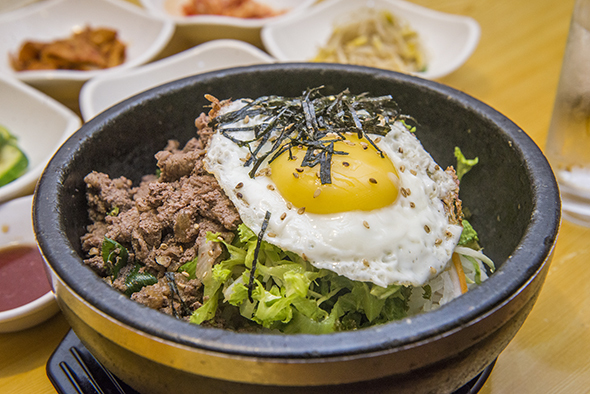 Another classic order would be the bibimbap, served in a hot stone bowl, like this beef fried rice for a steal at $9.99. It's fifteen ingredients that you mix all together to get a different bite every time. Make sure to press the rice against the sides of the bowl so that it gets nice and crispy on the bottom. 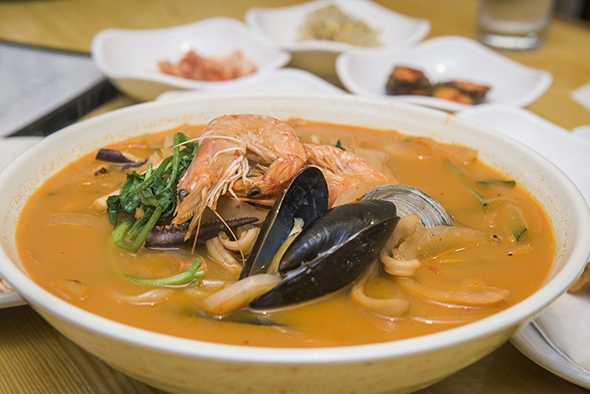 Perfect on a cold day or when you're under the weather is the seafood noodle soup ($12.99) filled with tons of scallops, mussels, clams, shrimp, squid and veggies in a spicy broth with house-made thick noodles. 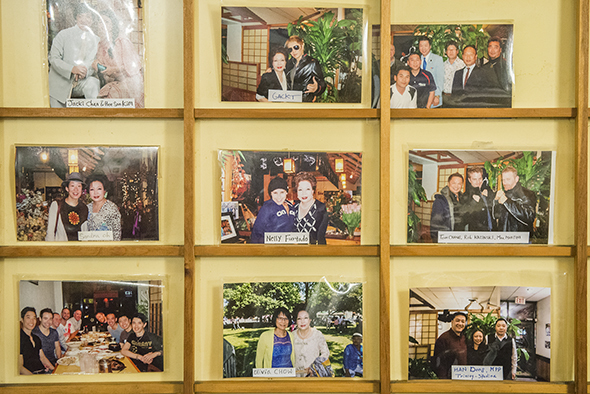 Save time at the end of the meal to peruse the restaurant's awesome knick knacks with long stories behind them. There's a player piano in the back that operates by floppy disk and a wall of photos of celebrities who've visited, from Nelly Furtado to Jackie Chan.